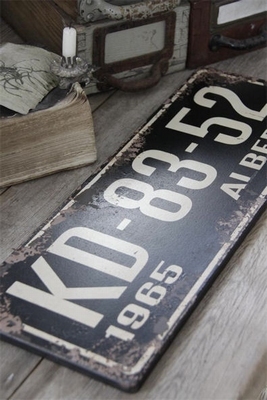 Beautiful replica of an old license plate by Jeanne d'Arc Living, made from wood. 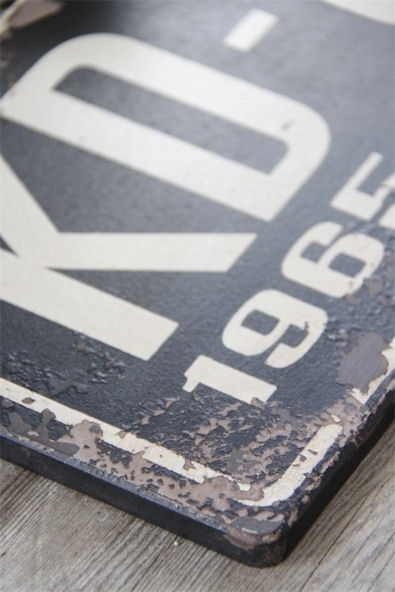 Lovely old looking patina. The plate has hooks for hanging at the back. Measures 44 x 16 vm.